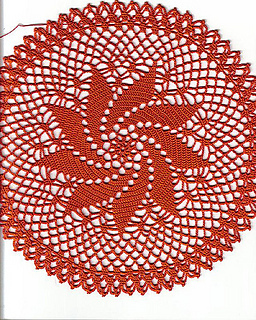 Published by the American Thread Company in Star Doily Book No. 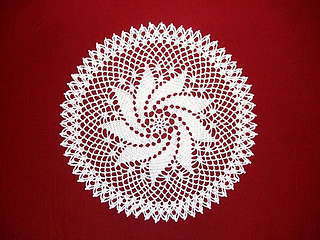 104, in 1953. 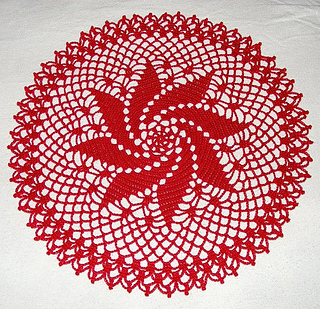 Size: Approximately 13 inches (33 cm) in diameter. 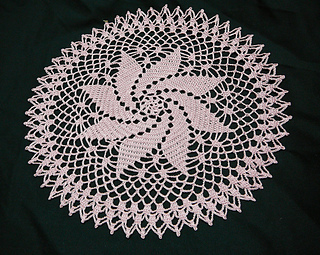 No more than 350 yds of size 10 crochet thread, American Thread Company “Puritan”, Article 40, or “De Luxe”, Article 346, recommended. 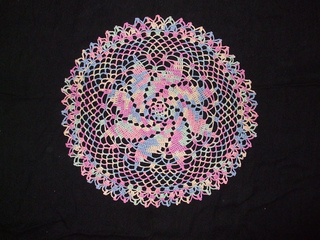 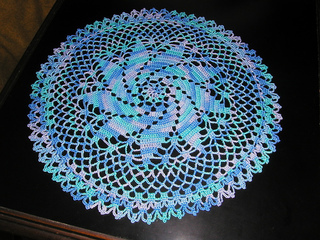 In Learn to Make Stunning Doilies (ASN) the required yardage is 200 yards.